YouTube has announced it now supports the video resolution which has become the recent darling of moviemakers – Ultra HD, or 4K. Although Ultra HD is a nascent resolution (it's 4x the quality of 1080p) it is one which is being picked up by the most forward-thinking of cinemas, with Sony and Apollo cinemas currently at the forefront of bringing 4K to the UK. As for the filmmaking side, Red is the current pioneer in bringing 4K shooting to the masses. The announcement that YouTube is now compatible with the format is great news for filmmakers who want to upload their movies in the format they were filmed. And it also means that if you have a 25-foot screen and the right sort of projector, you can have YouTube on a massive screen for the first time, without a dip in quality. Although TechRadar expects the 4K button (labelled Original) won't be the most used – unless Soderbergh decides to debut his next run of movies on the site in this way – it is great to see YouTube looking to the future with its upload options. "Because 4K represents the highest quality of video available, there are a few limitations that you should be aware of," notes YouTube. "First off, video cameras that shoot in 4K aren't cheap, and projectors that show videos in 4K are typically the size of a small refrigerator. And, as we mentioned, watching these videos on YouTube will require super-fast broadband." 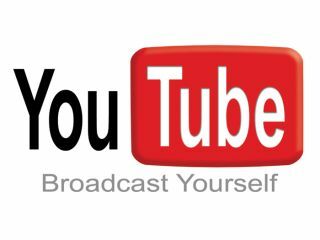 For those that do have the capabilities, though, YouTube says: "We're excited about this latest step in the evolution of online video. "We've been impressed by the 1080p videos you've uploaded over the last seven months and can't wait to see (in 4K!) what you do next."